Where to find La Malbaie hotels near an airport? 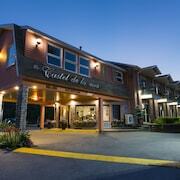 Where can I find hotels in La Malbaie that are near tourist attractions? 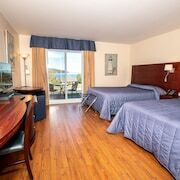 There's a broad range of accommodation options for vacationers looking for an upscale or affordable hotel in or near La Malbaie. Spend some time looking through Expedia's 29 accommodation listings, which are all within a 0.1-kilometre (0.1-mile) radius of central La Malbaie. An essential ingredient to trouble-free traveling is finding a convenient location to base yourself, so be sure to have a look at the Econo Lodge and Auberge de Jeunesse La Malbaie - Hostel, which are located a short distance of La Malbaie's city center. If you plan to stay close to the Murray Bay Golf Club while you are in La Malbaie, you could book a room at the Fairmont Le Manoir Richelieu and Hotel Pavillons Le Petit Manoir du Casino. 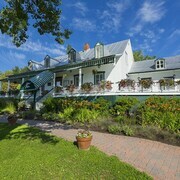 4 kilometres (2 miles) away from downtown La Malbaie, is the Auberge Fleurs de Lune. Alternatively, the HÃ´tel Au Petit Berger is positioned 3 kilometres (2 miles) away. Two other Expedia-listed alternatives around this area are the Auberge La Maison sous les Pins and the Auberge des Peupliers. Pointe-au-Pic is 3 kilometres (2 miles) to the south of La Malbaie, and is home to the Jardins and Maison du Bootlegger. If you'd like to visit Pointe-au-Pic, be sure to check out the Chez Truchon and HÃ´tel-Motel Castel de la Mer. 25 kilometres (16 miles) to the southwest of La Malbaie is Saint-Joseph-de-la-Rive, which is home to the Hotel La Roche Pleureuse and Auberge de Nos AÃ¯eux. St-Joseph-de-la-Rive Ferry Terminal and the Charlevoix Maritime Museum are just some of the more popular attractions to see when you're in Saint-Joseph-de-la-Rive. Tadoussac is 65 kilometres (40 miles) away from La Malbaie. While you are here, you may wish to explore the Tadoussac Marina, Saguenayâ€“St. Lawrence Marine Park and Marine Mammal Interpretation Centre. The Chauvin Trading Post and Pointe-Noire Interpretation and Observation Centre are also worth your time. 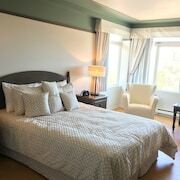 Should you wish to stay in Tadoussac, check out the rates and amenities at the HÃ´tel Tadoussac and Club De Chasse & PÃªche Tadoussac. Before you make tracks to La Malbaie, make sure you have a look through Expedia's La Malbaie travel guide, where you'll find the inside scoop on the numerous cultural and scenic attractions this fascinating place has to offer. What are the most popular La Malbaie hotels? 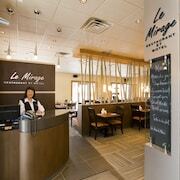 Are there hotels in other cities near La Malbaie? 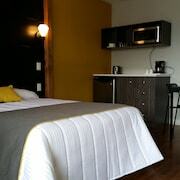 What other types of accommodations are available in La Malbaie? Explore La Malbaie with Expedia.ca’s Travel Guides to find the best flights, cars, holiday packages and more!